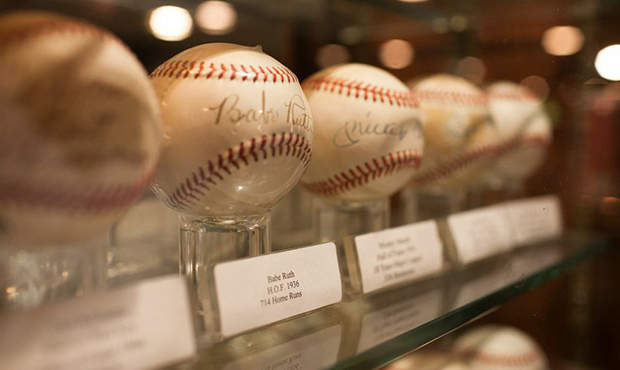 Scottsdale, AZ based restaurant, known for its extensive display of sports memorabilia, experienced a robbery on Wednesday, 3/27.1)Thieves nab signed baseballs worth up to $600,000 from Don & Charlie’s. ktar.com The thieves arrived in the early morning hours and stole up to an estimated $600,000 worth of signed baseballs. Police arrived at 2 a.m. and found the front door smashed and 34 autographed baseballs missing from their display case. Missing baseballs included the autographs of legendary Hall of Fame players such as Babe Ruth, Joe DiMaggio, Mickey Mantle, and Hank Aaron. Anyone with information related to the case is encouraged to call the Scottsdale Police Department at (480) 312-5000. For anonymous tips, call Silent Witness at (480) 948-6377 (480-WIT-NESS), or visit the Silent Witness website at www.silentwitness.org.